The following paper was presented by consulting anthropologist Ken Macintyre at the Fish Habitat Protection Area (FHPA) Seminar sponsored by Coastcare in May 2004. It was during mid to late summer (birok, Dec-Jan) and burnoru (Feb-March) that indigenous people used to frequent a place called Mudurup (pronounced Moodoorup) which we now know as the Cottesloe coastal strip. The term Mudurup or Moodoorup simply means “place of the yellow-finned whiting” (Sillago schomburgkii). Mudurup Rocks at Cottesloe is a registered Aboriginal site at the Department of Indigenous Affairs. 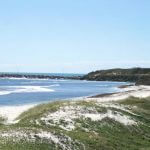 This is one of the most important mythological coastal sites on the Swan Coastal Plain. … in Summer they frequent the Sea Coast where their skill in spearing fish is truly wonderful. In Winter they inhabit the higher grounds, where the Kangaroo, the Opossum, the Land Tortoises, several species of Birds and roots compose their sustenance… (Stirling 1827: 570 quoted by Hallam 1979: 23). There is no doubt that kangaroo, emu and large game were hunted but it would seem that the staple protein of the indigenous people of the Swan Coastal Plain was obtained predominantly from fish, aquatic reptiles and crustaceans found in the lakes, swamps, rivers and coastal estuaries (Macintyre and Dobson 2002).The land-owning group which inhabited the coastal strip between Yanchep and South Fremantle were collectively known as the Mooro. They were a hunter/ gatherer/ fisher group who maintained a small, environmentally sustainable population. It was for this reason that Aboriginal people were able to sustain a continuous hunter/gatherer/fisher lifestyle for over 50,000 years. The continuous chain of lakes from Moore River to Mandurah were said to have been created in the Dreaming by the mythological Waugal or Rainbow Serpent. The creative spirit of the Waugal was believed to have been responsible for the creation of rivers, lakes and wetlands in the Perth and surrounding region. The Waugal was not only a creative totemic being but it was also a protector of the environment. According to Nyungar law, springs and gnamma holes could not be drained as it was believed that this would kill the guardian Waugal spirit and cause the water source to dry up permanently. The Waugal was said to be responsible for attracting the rain and keeping water holes and springs replenished. It was said to inhabit deep dark pools and traditionally was seen to be both a destructive and creative force in that it could cause sickness as well as cure sickness. Likewise, underground springs that flowed into the sea were believed to be the essence of the Waugal, and in some cases these springs were viewed as ‘the children of the Waugal’ flowing from the river towards the sea. Thus the idea of fresh water is so intricately involved with the mythology of the Waugal that it is hard to extricate, in some cases, the mythological metaphor from that of proto-science. At a deeper level Waugal mythology was indeed the metaphor which emphasised the proto-scientific mysteries of the rivers, water sources and landscape. It also explained through the mythological track of the Waugal how water moved throughout the Swan Coastal Plain as a system of underground streams interlinking wetlands to the rivers and ocean. This knowledge was an essential component of Aboriginal survival. This long spear which never left the hand of the thrower was known as a gidgigarbel. One of the main activities in the summer season was the migration of the Australian salmon, known by local Aborigines as melak. It was during this season that fishing became an intensive and sometimes cooperative activity, driving fish inshore to be speared. It was at times, such as the salmon run, that considerable quantities of fish would be consumed and shared with neighbouring groups. To maintain a hunter/gatherer lifestyle, it was often a matter of “feast or famine” as weather conditions and the availability of food were not always predictable. Thus it was essential to consume as much protein and fat as possible so that it could be stored in the body and utilised during times of famine. One of the attractions of the Cottesloe coast in summer – and this also applies today – is the regularity and cooling effects of the sea breeze in summer, known by the indigenous people as gulamwin (south-westerly breeze). To be able to survive in a pre-European environment the indigenous people had to develop numerous means of predicting the weather and the availability of food. This knowledge was highly specialised and involved an understanding of meteorology (such as wind direction) and astronomical movements (such as star and planet movements and moon phases). Birds, animals and insects were also used as natural indicators of weather, seasons and food availability, such as fish runs (Macintyre and Dobson 2004 notes). A commonly asked question is how did indigenous people survive on this dry coastal belt? It would appear that they had a number of strategies for obtaining fresh water. Occasionally water was found on the leeward side of sand dunes that had been eroded by wind and water down to the water table. In some cases these soaks had to be dug out and regularly cleaned. Another means of harvesting water was to collect it from the surface of the sea (kappi wodern). Freshwater feeds into the limestone reefs via underground springs from the water table. During low tide and calm weather, freshwater which has a lower density than salt, floats on top of salt water and can easily be seen as a type of oily slick. This oiliness is the result of iron in the freshwater. Water would have been harvested from the surface using a paperbark yoralla (carrying dish). 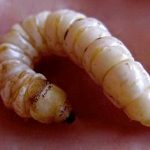 It is highly probably that fresh water seeped out of cracks in the limestone cliffs and outcrops along the coast at Cottesloe and Mosman Park. It should be noted that up until the 1950’s Aboriginal people were resident in the Swanbourne area and utilised the coast for fishing activities, as some still do today. The religion of the Mooro, like other indigenous people throughout south-western Australia, was deeply involved with mythology relating to the Creative Period or Dreaming (Nyitting). Other aspects of Mooro religion involved the restoration and revitalisation of bird, animal and insect species through ‘increase rituals’ at certain places. 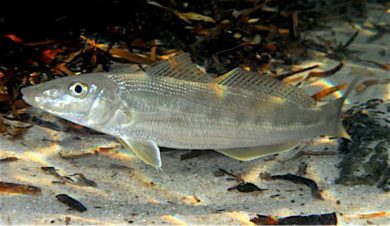 It is believed that indigenous people consumed most species of fish, the most common being yellow-finned whiting (Sillago schomburgkii) known as mudu (or muda), Australian herring (Arripis georgianus) known as naralung, pink schnapper (Chrysophrys auratis) known as ijarap or cuttuck, tailor (Pomatomus saltator) known as margyn, king george whiting (Sillaginodes punctatus) known as culgutta, Southern Australian salmon (Arripis esper) known as melak, buffalo bream (Kyphosus sp. ), sea mullet (Mugil cephalus) known as kalkada, and cobbler (Cnidoglanis macrocephalus) known as karalya. The above paper is derived from information compiled by indigenous heritage specialists and long-term Cottesloe residents Ken Macintyre and Dr Barb Dobson. 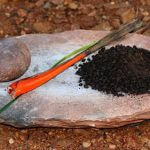 The materials are the result of many years of anthropological research based on an examination of historical documents and extensive interviews with Aboriginal Elders from the Swan Coastal Plain. Appleyard, S.J., Macintyre, K. and B. Dobson 2001 “Protecting ‘Living Water ‘: involving Western Australian Aboriginal communities in the management of groundwater quality issues”. Paper presented at the International Groundwater Management Conference, University of Sheffield, England. April. Bates, D. 1952 The Passing of the Aborigines. : A Lifetime spent among the Natives of Australia. London: John Murray. Bindon, P. and Chadwick,R. 1992 A Nyoongar Wordlist from the south-west of Western Australia. Perth: Anthropology Department, W.A. Museum. Bridge,P. (ed.) 1992 Aboriginal Perth: Bibbulmun Biographies and Legends by Daisy Bates. Victoria Park: Hesperian Press. Bropho, Robert 1980 Fringedweller. Sydney: Alternative Publishing Cooperative Limited. Collard, Len 1997 ‘Kau Nyungar Boodjar Gabbee Gnarning Quobberup’ Claremont Museum. Curr, E. 1886 The Australian Race: its origins, languages, customs, place of landing in Australia, and the routes by which it spread itself over that continent. Melbourne: Government Print. Green, N. (ed.) 1979 Nyungar The People: Aboriginal customs of the southwest of Australia. Perth: Creative Research. Green, N. 1984 Broken Spears: Aboriginals and Europeans in the southwest of Australia. Cottesloe: Focus Education Services. Green, N. and Moon, S. 1997 Far from Home: Aboriginal Prisoners of Rottnest Island 1838 1931 Dictionary of Western Australians, Vol X. Perth: University of WA Press. Haebich, A. 1988 For Their Own Good: Aborigines and Government in the Southwest of Western Australia, 1900-1940. Nedlands: University of WA Press. Hallam, S. J. 1975 Fire and Hearth: a study of Aboriginal usage and European usurpation in south-western Australia. Canberra: Australian Institute of Aboriginal Studies. Hallam, S. and Tilbrook, L. 1990 Aborigines of the Southwest Region 1829-1840. The Bicentennial Dictionary of Western Australia. Nedlands: University of WA Press. Hammond, J.E. 1980 Winjan’s People. Imperial Printing Co. Ltd. Perth. Facsimile ed. Hesperian Press. Victoria Park. Macintyre, K. and B Dobson 1999 ‘Factoring Aboriginal Environmental Values in Major Planning Projects.’ Australian Environmental Law News, Issue No. 2. June/ July. Macintyre Dobson and Associates Pty Ltd 2000 Report on an Ethnographic/ Ethnohistorical and Archaeological Survey of the Swanbourne Project Area with Representatives from the Bropho and Bodney families, Nyungah Circle of Elders and other Families. Prepared for the Education Department of WA. January. 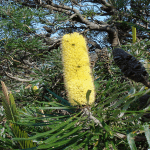 Macintyre Dobson and Associates Pty Ltd and T.O”Reilly 2002 Report on an Ethnographic, Ethnohistorical, Archaeological and Indigenous Environmental Survey of the Underwood Avenue Bushland Project Area, Shenton Park. Prepared for the University of Western Australia. June. 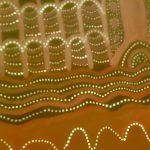 Macintyre Dobson and Associates Pty Ltd 2002 Aboriginal Habitation and Usage of the Swan River and Swan Coastal Plain. Unpublished Manuscript. Meagher,S.J. 1974 ‘The Food Resources of the Aborigines of the south-west of Western Australia’. Records of the Western Australian Museum, Vol. 3: 14-65. Moore, G.F. 1984  Diary of Ten Years of an Early Settler in Western Australia. Perth: University of Western Australia Press. O’Connor,R. ; Bodney, C. and Little, L. 1985 Preliminary Report on the Survey of Aboriginal Areas of Significance in the Perth Metropolitan and Murray River Regions. Unpublished. July. O’Connor, R.; Quartermaine, G. and Bodney, C. 1989 Report on an Investigation into Aboriginal Significance of Wetlands and Rivers in the Perth-Bunbury Region. Leederville: Western Australian Water Resources Council. Stirling, J. 1827 Diary. Expedition up the Swan River in 1826. Perth: Battye Library Collection. The Western Australian 1831 Vol. 1, No.4 (12 November). Newspaper printed and published by WT Graham at Fremantle. Tilbrook, L. 1983 Nyungar Tradition: Glimpses of Aborigines of South-Western Australia 1829-1914. Nedlands: University of Western Australia. Weaver, P. R. 1997 Marine Resource Exploitation in South Western Australia prior to 1901. Unpublished Ph D Thesis, Edith Cowan University. White, I. (ed.) 1985 Daisy Bates: The Native Tribes of Western Australia. Canberra: National Library of Australia.